Lewis Hamilton stormed to his first victory of 2016 at the Monaco Grand Prix this afternoon. 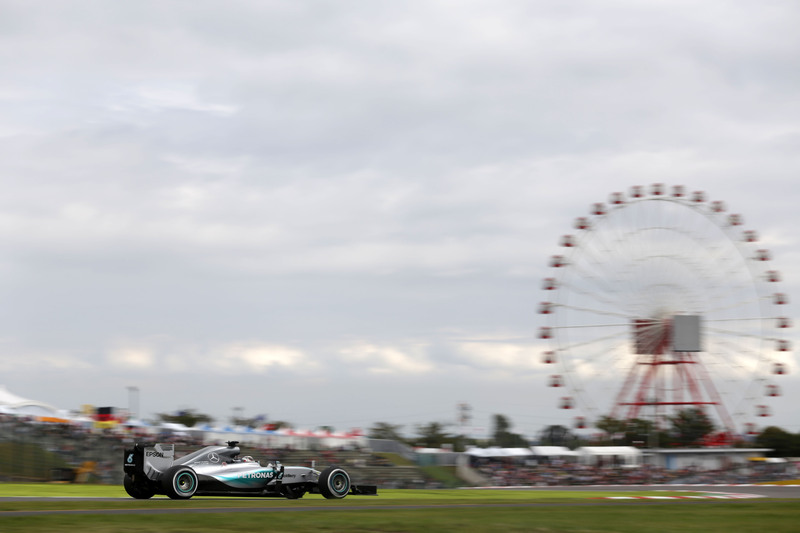 The Briton started the race in third place but after team-mate Nico Rosberg was ordered to allow Hamilton past and a pit-stop miscommunication delayed race leader Daniel Ricciardo, Hamilton assumed the lead. Wet weather led to a Safety Car start as a precaution but the rain soon abated and the track began to dry. 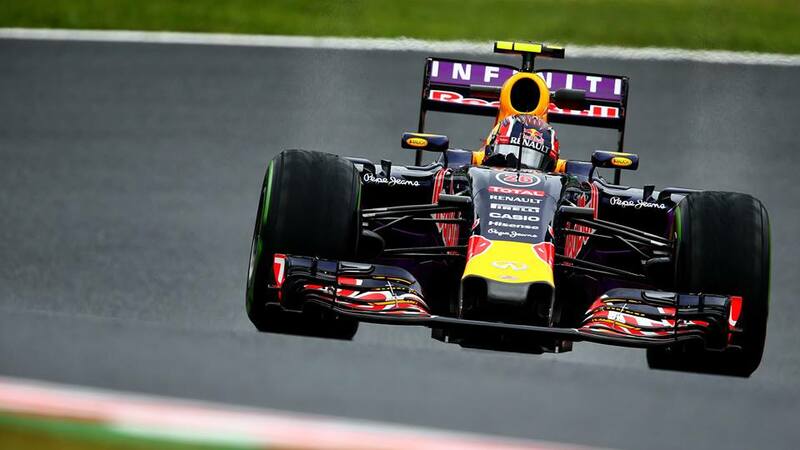 There was early trouble for Daniil Kvyat whose pit limiter got stuck on and limited his speed. The disheartened Russian was left lamenting his bad luck on the team radio before the issue mysteriously disappeared and he returned to full speed, albeit two laps down on the rest of the grid. Eventually the Safety Car came into the pits allowing pole man Daniel Ricciardo to begin building a gap between himself and second placed Rosberg. Hamilton’s unease behind his team-mate was obvious but, with their Spanish clash surely in his mind, he stayed level-headed and avoided contact with Rosberg. Renault’s Jolyon Palmer wasn’t as lucky as he was caught out by the slipperiness of the Zebra crossing that runs parallel to the start/finish straight, and smashed into the barriers twice, before coming to a halt in the run-off area. The Briton wasn’t the only one finding the conditions tough, as veteran racer Kimi Raikkonen clouted the barriers at the hairpin seconds later, before inadvertently blocking Haas’ Romain Grosjean. The Finn attempted to make it back to the pits but after driving through the tunnel with a badly damaged wing, something which would earn him disapproval from the stewards later on, he pulled into the run-off area to retire the car. Meanwhile, Ricciardo was still increasing his gap to the Mercedes behind him. Rosberg was nearly ten seconds shy of the Aussie when the call was made to move over and give the penned up Hamilton a chance of catching Ricciardo. 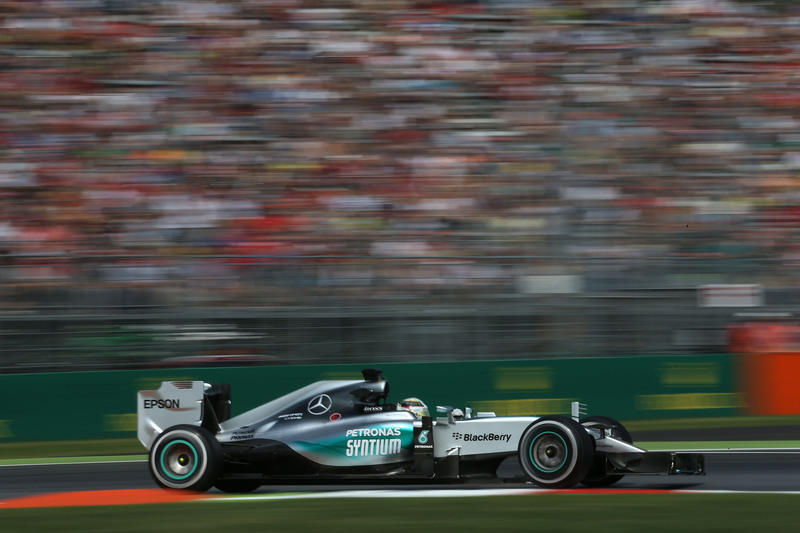 Rosberg duly obliged and Hamilton gave chase, almost immediately setting a new fastest lap and leaving Rosberg trailing behind him. There was more trouble for Renault who now tangled with the Toro Rosso of Kvyat. The Russian had attempted to squeeze past Magnussen’s Renault into Rascasse, as Bianchi had done successfully to Kobayashi in 2014, but the door had closed and the two made slight contact. Both pitted and retired from the race. Also in the pits was race leader Ricciardo who took on a pair of the intermediate tyres, rejoining in second behind Hamilton. Ricciardo’s wait for Hamilton to pit for his own set of intermediate tyres stretched on and it eventually became clear that Hamilton was trying to risk jumping from the full wets to the slick tyres, thus saving himself a pit stop and maintaining the lead of the race. 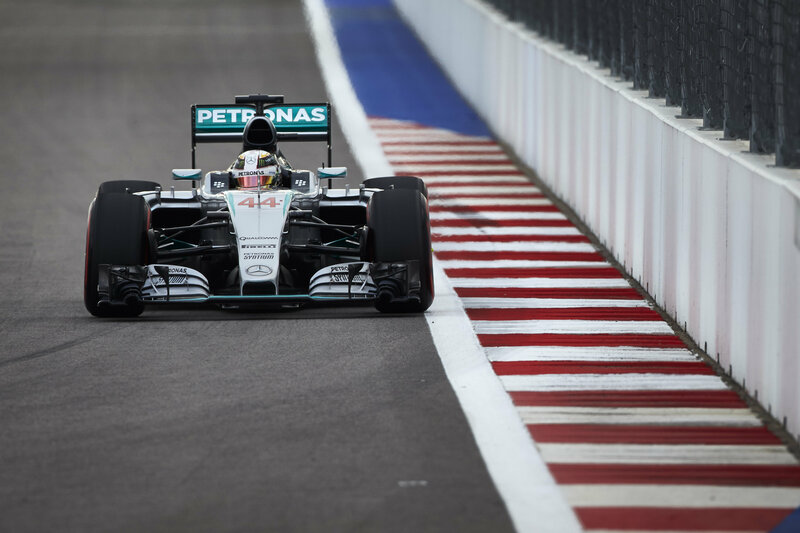 Hamilton eventually ducked into the pitlane when it seemed that slick tyres might finally be a feasible action. Ricciardo opted to wait until the following lap to change over his own tyres in an attempt to perform the undercut, but when he entered the pits, a miscommunication saw the wrong tyres brought out and he was left sitting in the pits for a long delay as the pit crew fell over themselves and searched for the right tyres. When he eventually rejoined the track he was neck and neck with Hamilton, the latter jumping into the lead as the duo climbed the hill from the first corner. Ricciardo was clearly the quicker car and stayed right on Hamilton’s gearbox, but the lack of overtaking spots and the backmarkers dotted awkwardly along the road meant he couldn’t manage a solid overtake maneuver on the Mercedes. Ricciardo’s team-mate, who won his first race last time out in Spain, was having a much less fortuitous race this time around: having crashed in Q1 yesterday he started the race from the pitlane and had made it as far as tenth – until he ended his race when he went wide at Massenet and was collected by Monte Carlo’s unforgiving barriers. Ricciardo nearly ended his race in a similar fashion when Hamilton ran wide at the Nouvelle chicane, rejoining at a strange angle and almost sending the opportunistic Ricciardo into the barriers. Stewards investigated the incident and decided no further action was warranted. The Sauber boys were less lucky. Felipe Nasr was ahead of team-mate Ericsson on track but was the slower of the two drivers, so the call was made for fifteenth-placed Nasr to move aside for Ericsson. There’s a possibility that Nasr’s radio wasn’t working properly but either way Ericsson became impatient and decided to take matters into his own hands, which brought disaster for the team. Attempting an impossible overtake at Rascasse, Ericsson drove straight into the side of Nasr before hopping into the air in the resulting spin. Both men pitted and rejoined the race but smoke began to spill into Nasr’s cockpit which signaled the of his race. He was followed into the pits a few laps later by Ericsson who had also sustained damage and opted to retire the car. At this point, rain began to fall in the final three laps of the race but nothing substantial came until the checkered flag was waved. Hamilton maintained his lead right until the end while Ricciardo’s Pirellis eventually went past their best and he began to fall back. Sergio Perez, who was trading fastest laps with Vettel towards the end of the race, fended third place from the Ferrari, while Fernando Alonso managed to bring his McLaren to fifth place. 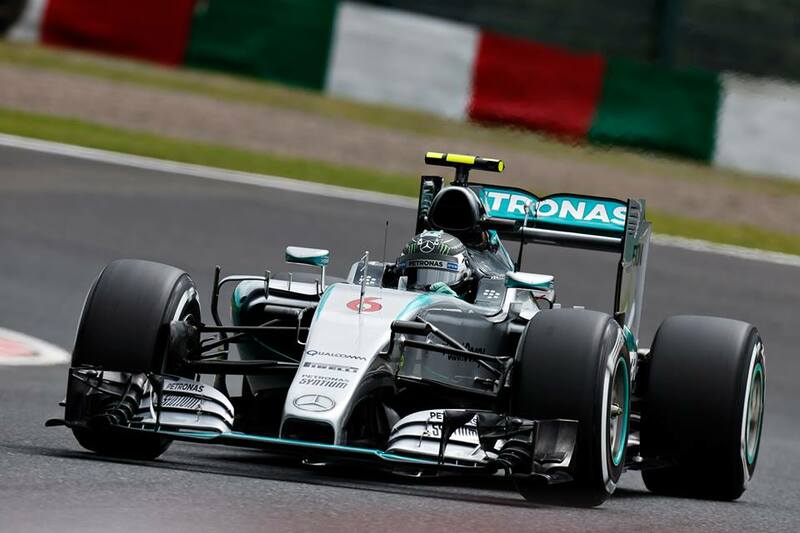 Championship leader Rosberg was in sixth and was passed mere seconds from the end by Hulkenberg. Carlos Sainz, who expertly saved his car during a slide at the Swimming Pool chicane, took eighth, with Button in ninth and Massa rounding out the top ten.